ON SALE NOW! Click HERE to order. Who is Jack McCool? He’s a regular wise-cracking school boy, expert multiple biscuit eater and dodger of homework who likes nothing better than chilling out on his bed with his dog, Fergus. It’s no wonder Jack’s bedroom is his refuge, considering his crazy family and the daily onslaught he faces at school from his arch enemies: Miss Medusa, his lip-curling teacher, and Oscar the sneaky school bully. And oh yeah, Jack’s just discovered he holds the key to breaking an ancient curse. What’s more, the clock’s ticking and all eyes are on him. 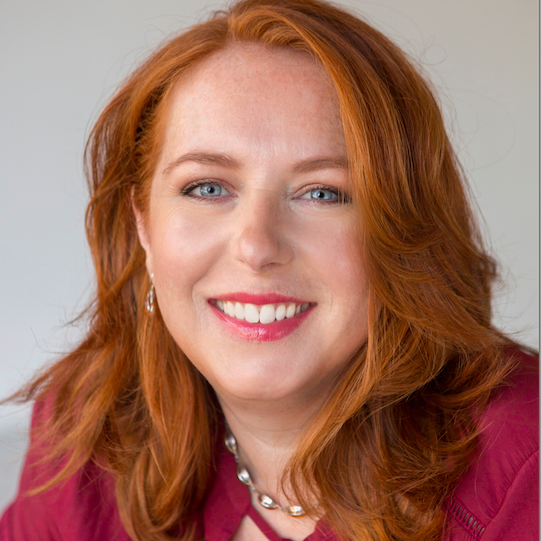 Subscribe to receive monthly tips and tricks about writing and all the latest news from Ruth. Ruth Devine writes fiction and non-fiction for adults and children alike. 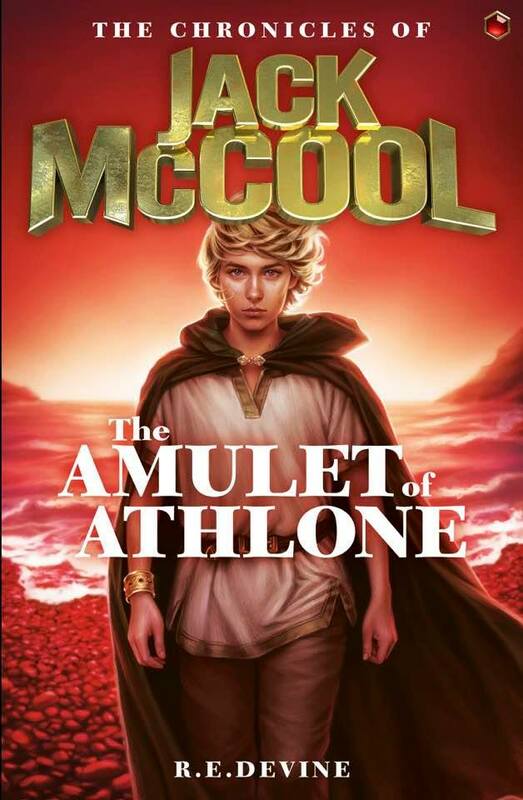 The author’s father delighted in spinning bedtime stories featuring the legendary Irish folk hero Finn McCool; stories that mesmerised the young listener – but didn’t do much in getting Ruth to sleep. 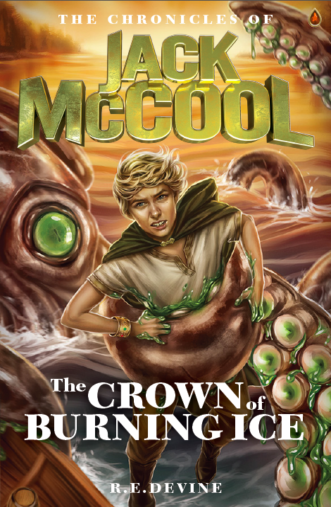 From those childhood tales, grew this exciting adventure series about Jack McCool, a colourful and quirky modern-day Finn. 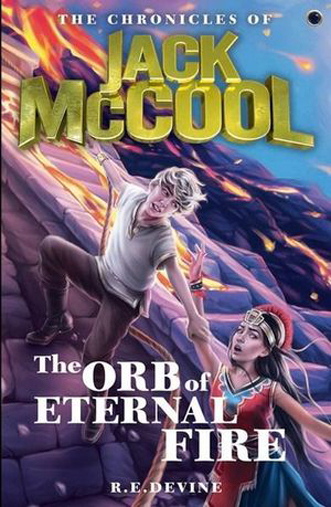 As a journalist for 25 years in the UK and Australia, specialising in writing about parenting and health, and with three sons of her own diagnosed with ADHD, one of Ruth’s main reasons for creating the character of Jack McCool was to have a hero with whom her sons could identify but who would prove equally popular with all children, including reluctant readers. The author lives in Sydney with three boys who each swear Jack is based on them. But only Ruth and the family kelpie know the truth. 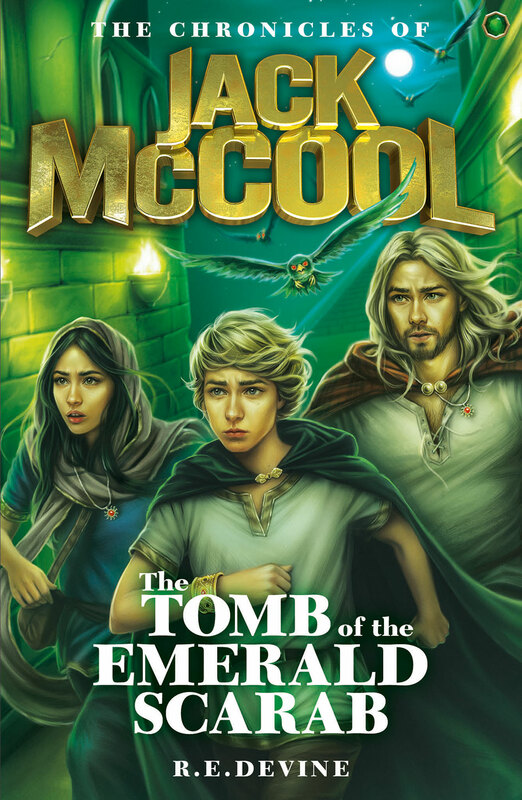 When a priceless artifact is stolen from an ancient Egyptian tomb, all fingers point to Jack’s best mate Rory, as the thief. Determined to clear his pal’s name and continue his quest to break a wicked curse, Jack turns to fearsome warrior Finn McCool, for help. A desperate race through time sees the unlikely duo battle shipwrecks, slave traders and an evil sorcerer to find the missing gems – and save Rory’s life! 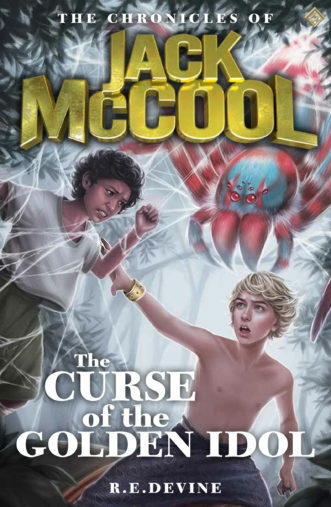 When a malevolent creature curses the clan, Jack risks his life to confront it. Events take a sinister turn and the young prince soon realises he has jeopardised his entire mission. Caught up in a struggle between two ruthless war lords, the schoolboy warrior must battle a scheming banshee, outwit an entire army and race against time to find the next gemstone in his quest to save an ancient kingdom. 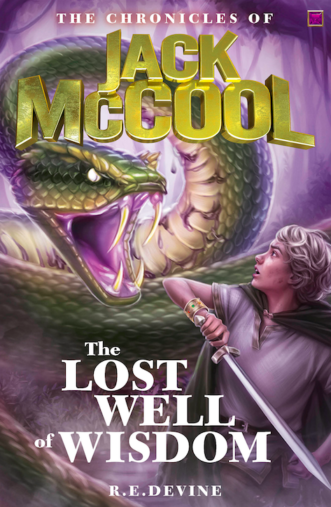 Finn McCool has mysteriously disappeared and as Prince of Tara, Jack must find his friend and protect the clan. But his rescue mission goes badly wrong when he travels back in time to a strange land full of danger and secrets. A traitor, a wicked banshee, a cursed idol; Jack must battle these and more if he is to save Finn and find the next enchanted gemstone to fulfil his destiny and break an evil curse. With the clan’s encampment destroyed by the High King Goll, Jack and Finn take to the Forest of Roann. There they plan to rid Eireann of its wicked king forever and retrieve the last enchanted gemstone needed to break an ancient curse. But when Jack receives word that an old friend is in terrible danger, he is forced to choose between duty and destiny in this, his final exciting adventure.